Childrens Air Rescue Activity Book engaged younger audience. Apart from an obvious pride in being associated with such an important service, one of the most rewarding aspects of our promotional and educational work with Air Rescue was always the enthusiastic response from the younger members of the community. One project which highlighted that was the creation of a 16-page children's Rescue Zone Activity Book - written, illustrated and designed by Yellow Pencil's Creative Director, Nick Hawes. "The children in our communities look up to our rescue helicopter teams - in more ways than one - and we felt this book was a good way to connect with that age group and bring an important community service into their lives in an engaging and fun way" said Nick. "It's unfortunate that a lot of businesses greatly under-value this age group simply because they see no immediate return. But understanding the importance of our Air Rescue services needs a 'whole community' approach - and the kids play a very important part in that" he said. "We recognised and valued the role this age group plays in creating a bridge of supporters from one generation to the next." 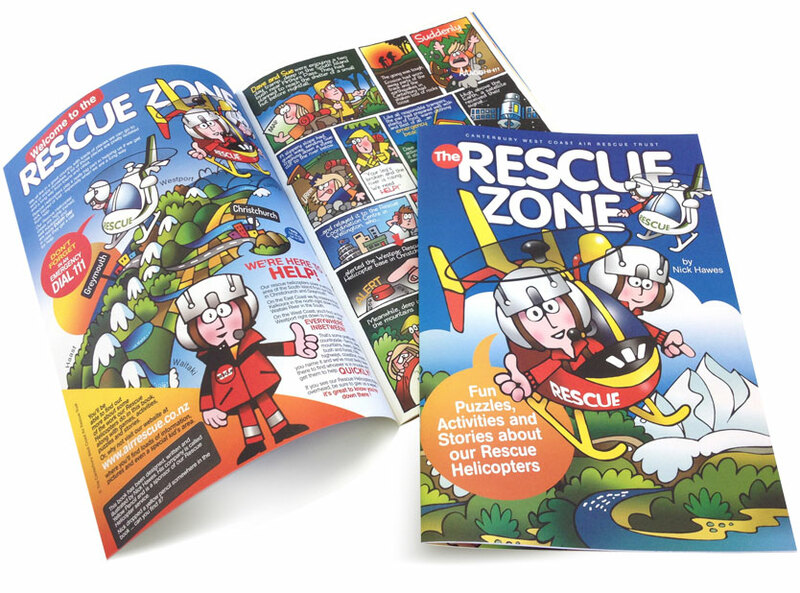 The Rescue Zone Activity Book contains rescue stories around the work of our local rescue helicopters as well as rescue and safety-themed puzzles and activities. For Nick personally, the creation of this book was a lengthy but incredibly satisfying project. "In a technology driven world, it felt reassuring to get ‘back-to-basics’ and pick up a pencil once again" he said.